- RDS Radio 2 DIN size - 4 x 50 Watt. - Input IPOD / parking camera, all controlled from the display. 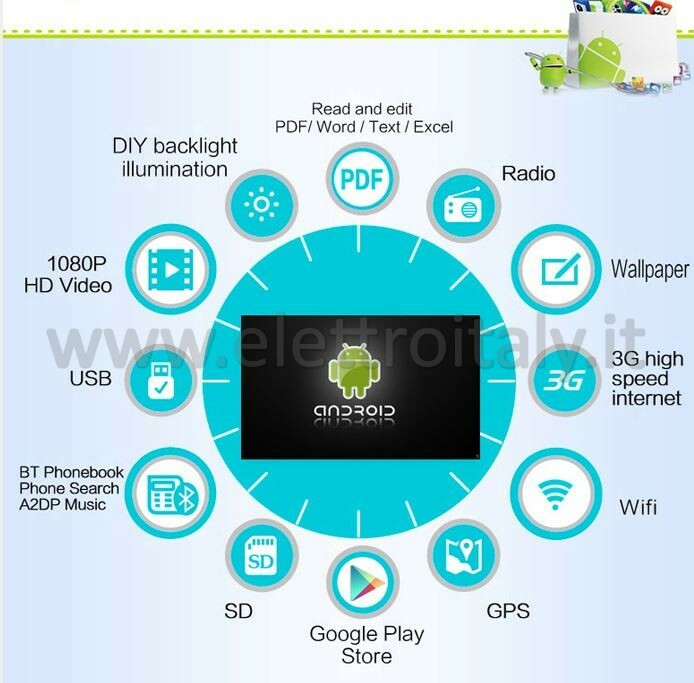 - Compatible with navigation program in ITALIAN 3D. 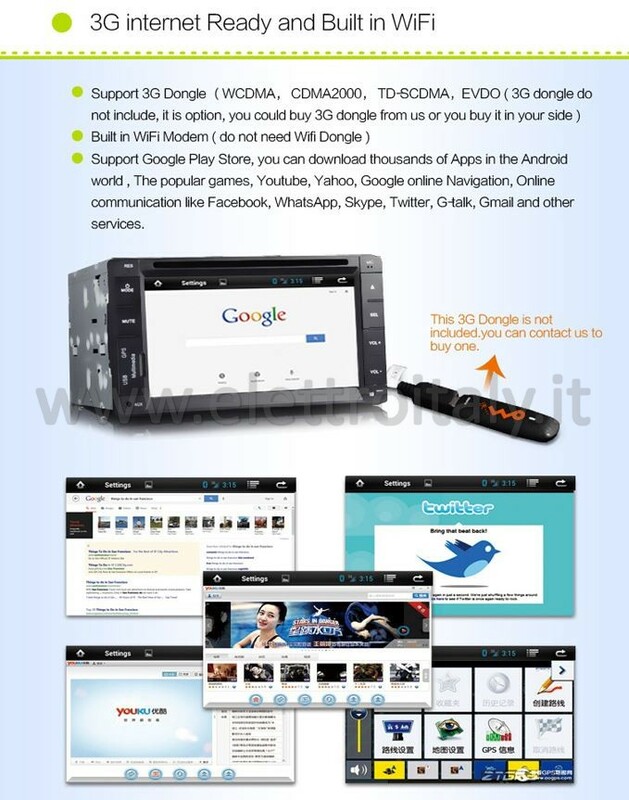 - Channels Input / Output Audio / Video (AV). 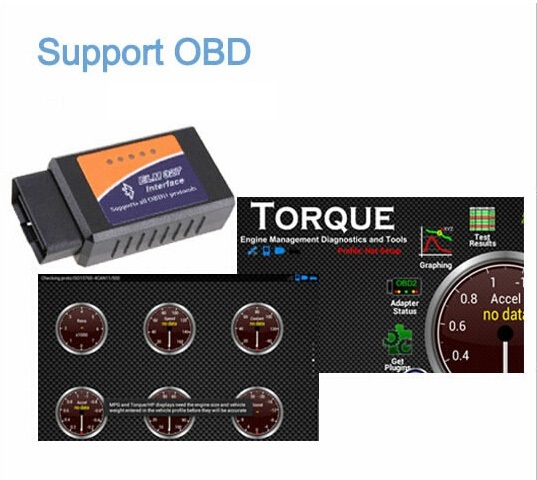 - Standard connector canbus for immediate installation. 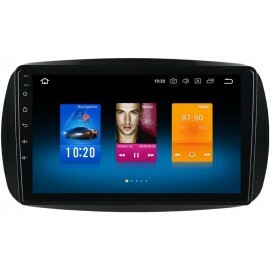 Equipped with a dual-core processor, internal memory, DSP processor for audio, dedicated, this model will give you access to favorite media and the Web in the car, all directly from the screen of your radio. The Cortex A9 Dual-Core 1.6Ghz frequency and memory 1Gbb 5,6Gb DDR3 RAM and internal memory provide the power needed to ensure an experience of use of the graphical interface smooth and responsive. 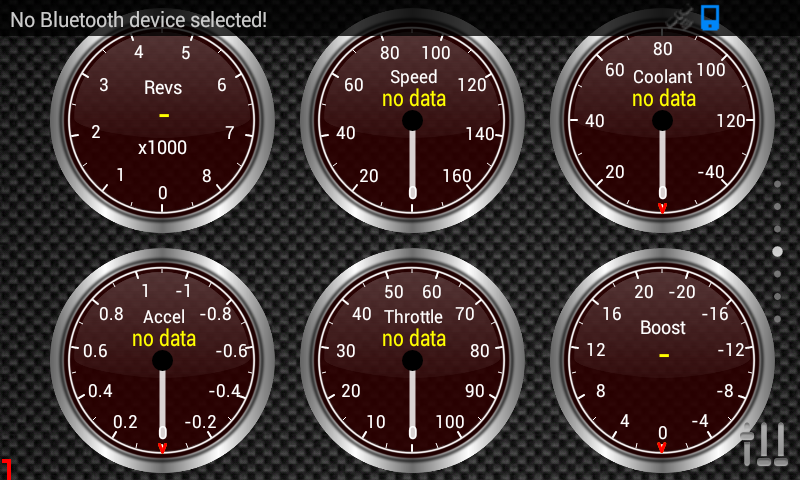 This model provides the fastest response and menu animations fluid and fast. The TFT touchscreen Multtouch 5 point Capacitive high definition (1024x600 px) offers a high quality display of images and video. The colors are vivid and the viewing angle is very large (about 170 °) to allow a clear view even if you are not in front of the radio. 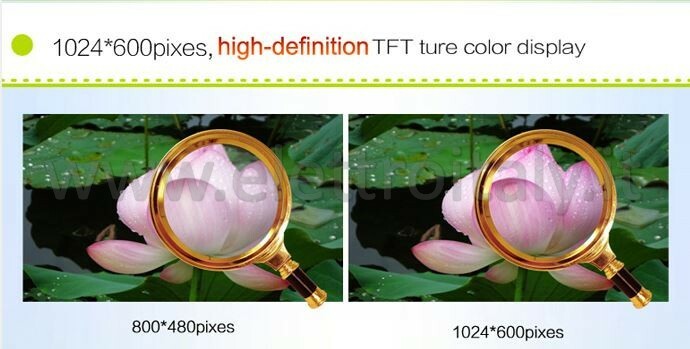 The screen is anti-reflection coating to minimize the effect of "mirror" in case of high ambient brightness. 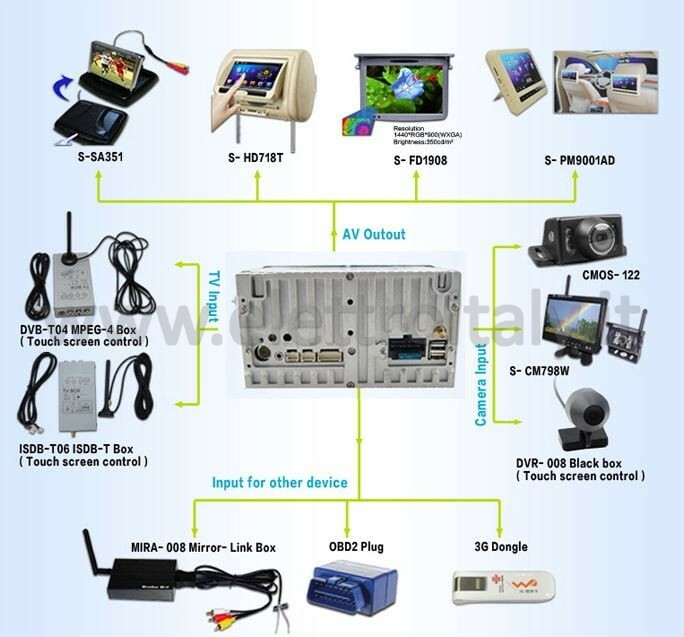 You will be amazed by the picture quality offered by this model! 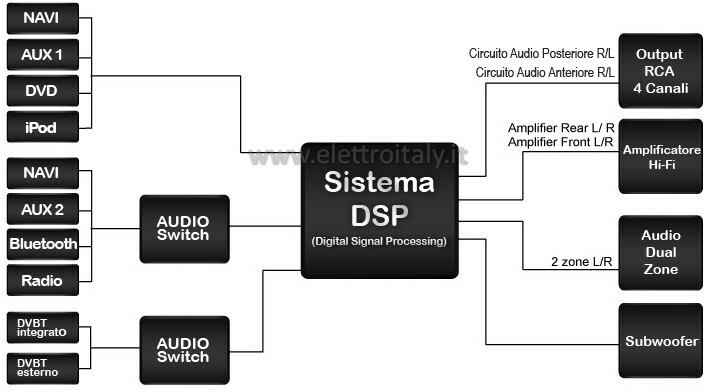 The audio system offers a DSP (Digital Signal Processor) dedicated to processing and optimization of the input audio signal. The original signal is acquired and through algorithms and modules, optimized to get the best sound performance. 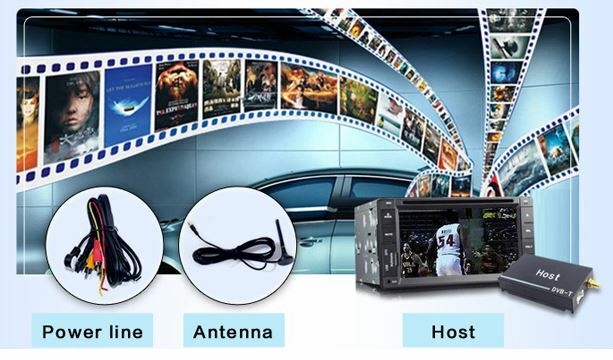 Pre-amplified outputs to 4 volts, for a clearer signal, with more volume and less noise. 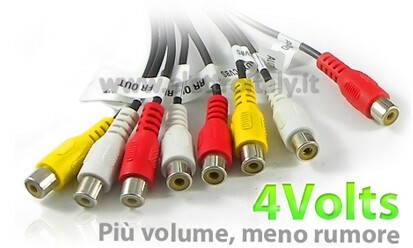 You will have a clear audio quality and also on RCA cables longer, without signal degradation and keeping a level of GAIN (gain) of the amplifier down. The radio functions AF (Alternative Frequency), TA (Traffic Announcement) PTY (displays the category of the station, depends RDS), AST (automatic station search), LOC (This function increases the sensitivity of the radio during research, selecting the stations with the strongest signal). Finding Stations by program category (PTY scan). Up to 99 station presets. You can connect to the internet through Wi-fi adapter 802.11 b / g / n (sold separately) or a 3G device (* sold separately). Simply choose an access point wi-fi from the available list, enter the password (in case of the protected network) and you will have full access to the web and its contents through the Browser andthe playstore Google. 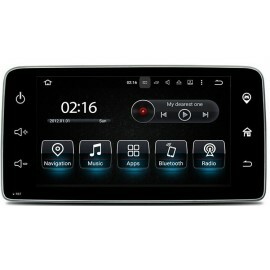 Thanks to Bluetooth technology, in fact, each cell (which has free bluetooth) is able to work with this model. 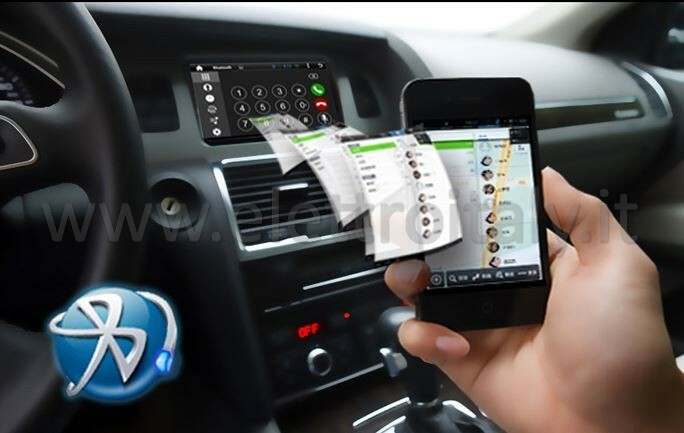 Once connected via Bluetooth, your phone with the car radio just type the keys via touchscreen to dial the number and press the Call key. If you receive a call, automatically, will stop listening to a CD or DVD display for you to respond. At the end of the conversation, automatically, you will return to listening to the CD or to watch the video! 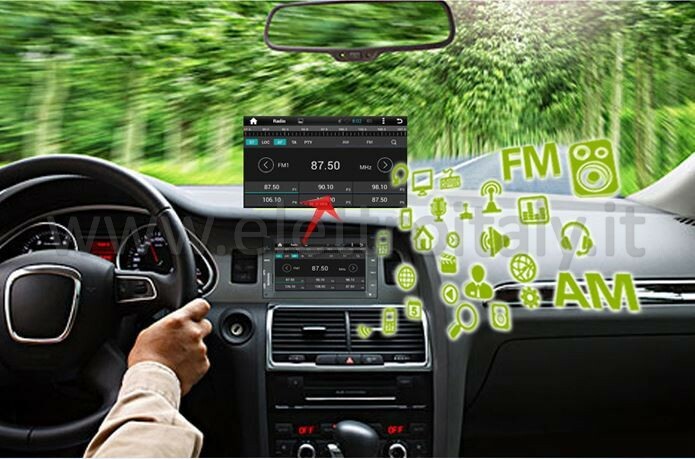 Music through bluetooth: With this feature, you can also send music from your phone or MP3 player (which act Bluetooth with A2DP support), to the speakers of your car, avoiding annoying cable connections or tedious transfers on mobile devices. It will be possible to import the phone book of the phone in radio choosing the SIM contacts or phone. You can also search for contacts through a search box, so you have quick access to the desired contact. 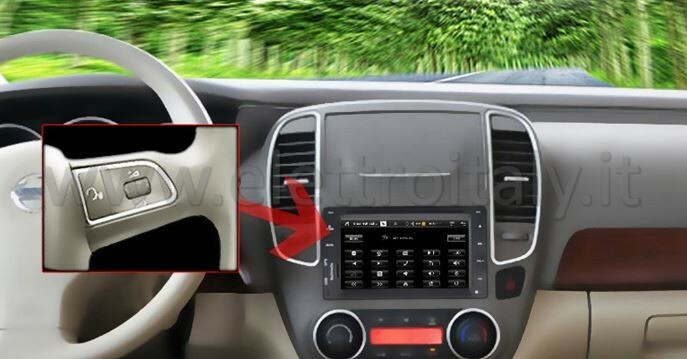 Being equipped with internal memory, the device will allow you to add or remove contacts (name, email, phone number, etc ..) from the internal phone car radio. When importing contacts from the phone, the contacts will be imported in the same list of contacts inside. 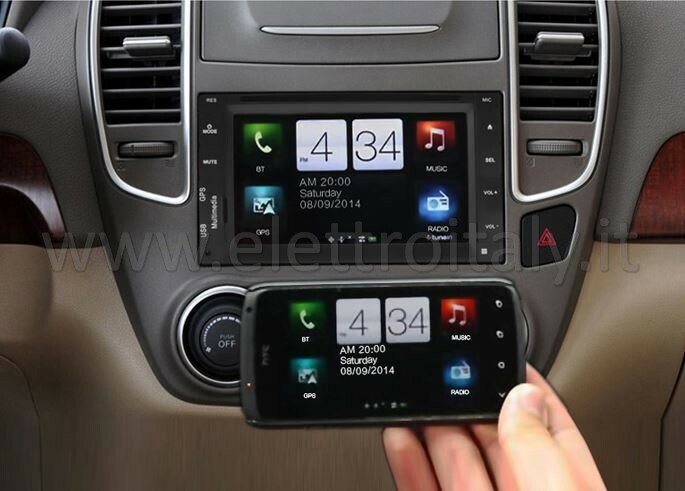 The TAP / SWITCH will transfer the call from the hands-free phone and the speakers of 'car, and vice versa. If you receive a call while browsing (bluetooth), the system will not suspend navigation and you can talk and continue to view the map. 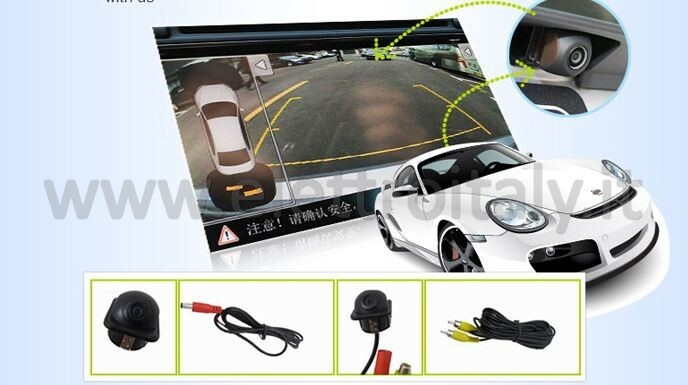 To resolve disputes after accidents and fix the responsibility, you can use a DVR inside of your car can record what happens in front of the car. 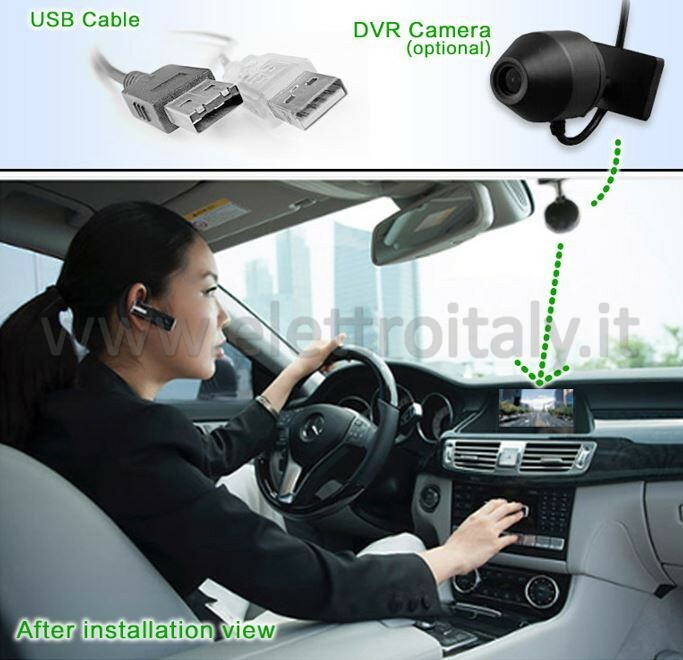 This accessory (sold separately), allows you to mount an HD camcorder in the car to record images of the road while traveling. 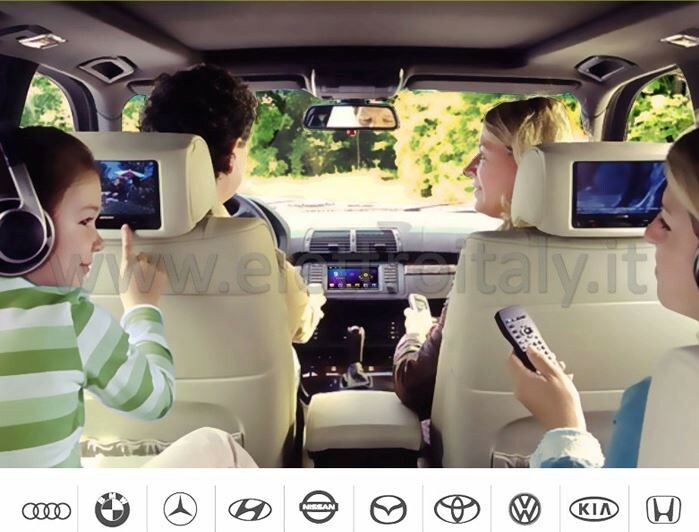 This way you will be able to protect in case of accident, providing a test video. 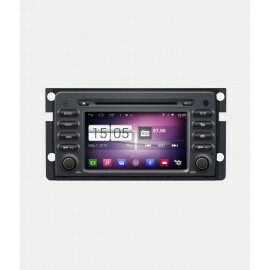 The radio offers great opportunities as well as entertainment for the duration of your trip, also unbeatable comfort in managing navigation systems via touchscreen, very easy and convenient to manage. IlGPS is integrated inside the chassis, so no external box.